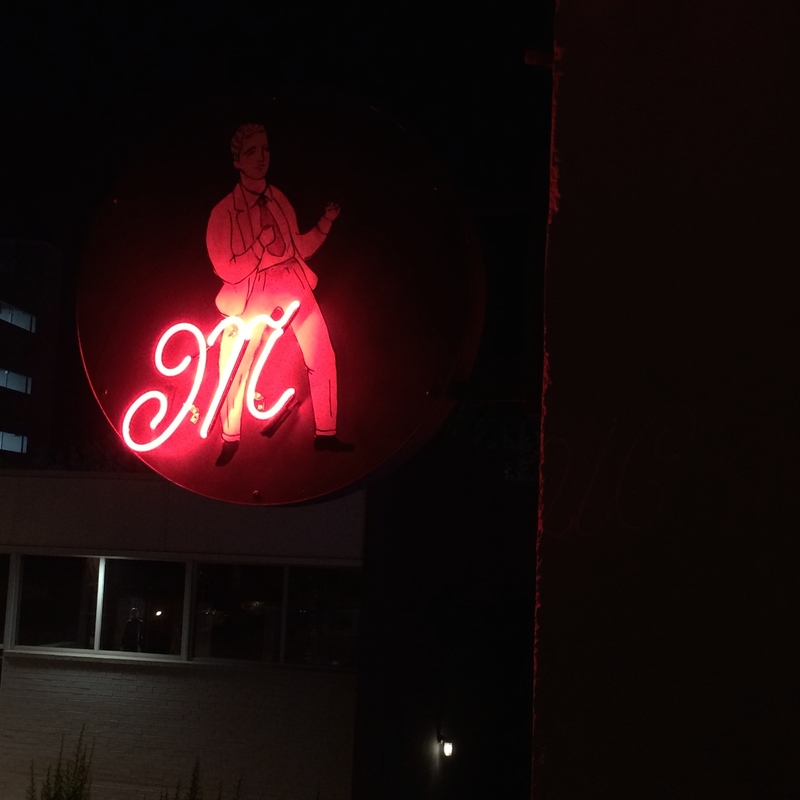 For Craig’s 33rd birthday, we decided to try Ford Fry’s latest Atlanta installment, the European-inspired steak house, Marcel. It’s located in the ever-growing Westside Provisions District, which I love because we live 10-15 minutes from there. It’s amazing how much that area has been built up in the past few years! Of the many restaurants Ford Fry has opened in Atlanta, we’ve been to most of them… JCT Kitchen, The Optimist, No. 246, King + Duke, and Superica. All are excellent, but in my humble opinion, I think Marcel is my new favorite. 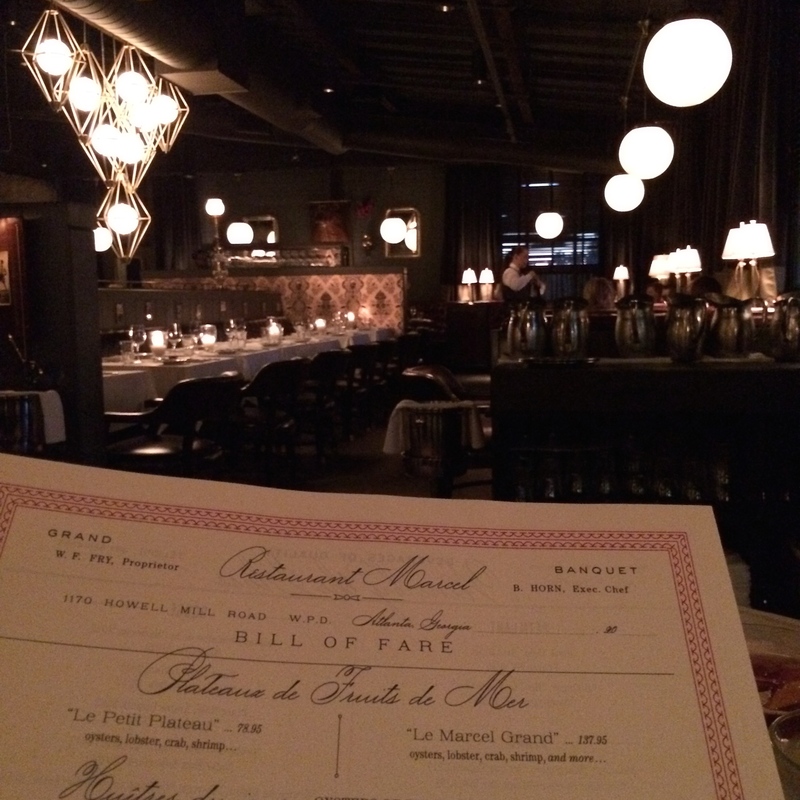 The atmosphere is something different from any other restaurant I’ve been to in the city… dark, moody, intimate, and a little quirky. 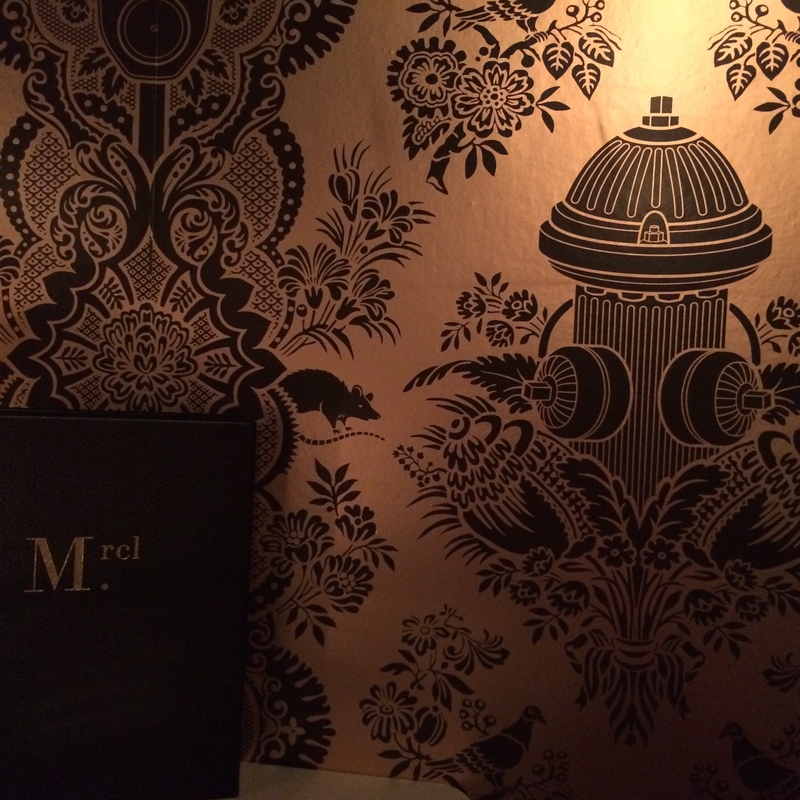 Case in point — that gold and black wallpaper covered with mice and fire hydrants. 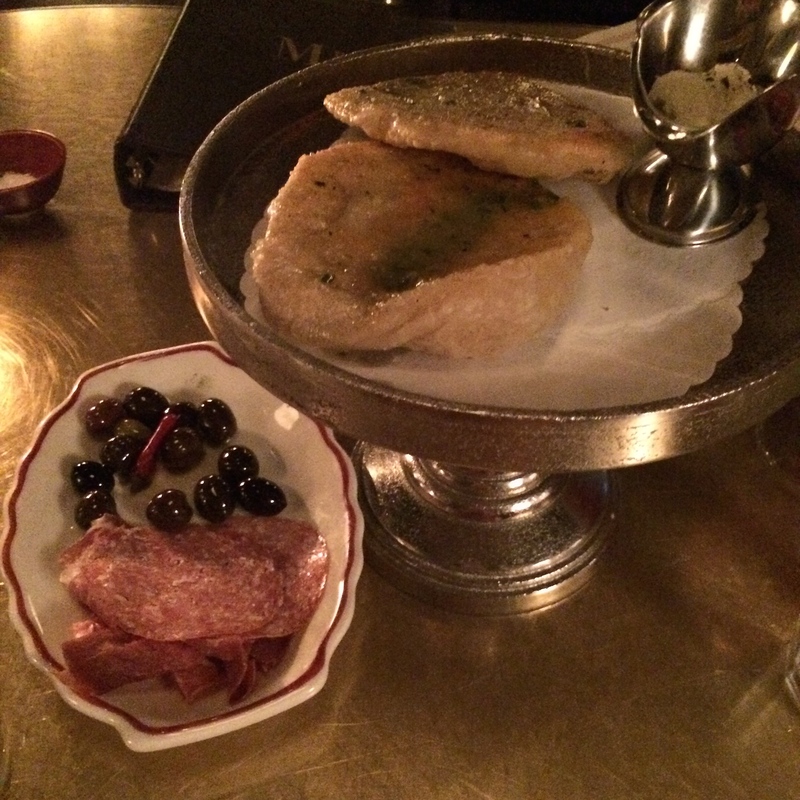 Our meal started with the complimentary bread service below… they served us warm, buttery focaccia bread with ricotta cheese, charcuterie, and olives. Really? I don’t know if I can accept plain old bread and butter from now on. For starters, we chose the Broiled Humboldt Fog and the Salad Marcel (not pictured). The salad was definitely large enough to split, which we did, and it was dense and filled with lots of goodies. The maple bacon vinaigrette was icing on the cake. Neither of us had ever heard of Humboldt Fog, and I am glad the server explained what it was, because I certainly wouldn’t have guessed goat cheese. 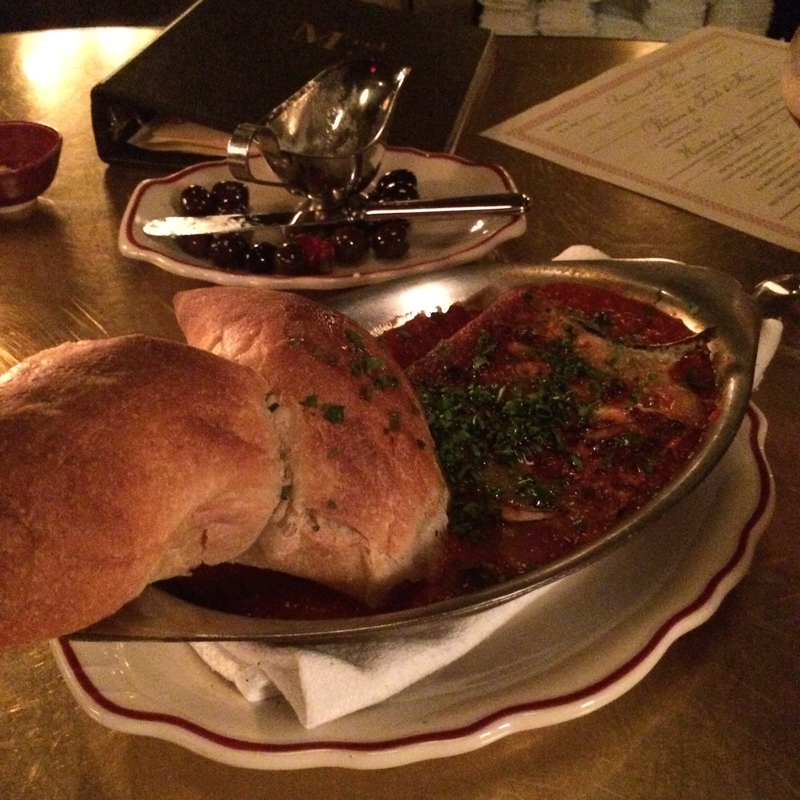 It was served with a tomato gravy and crispy French bread. Craig almost licked the bowl clean. 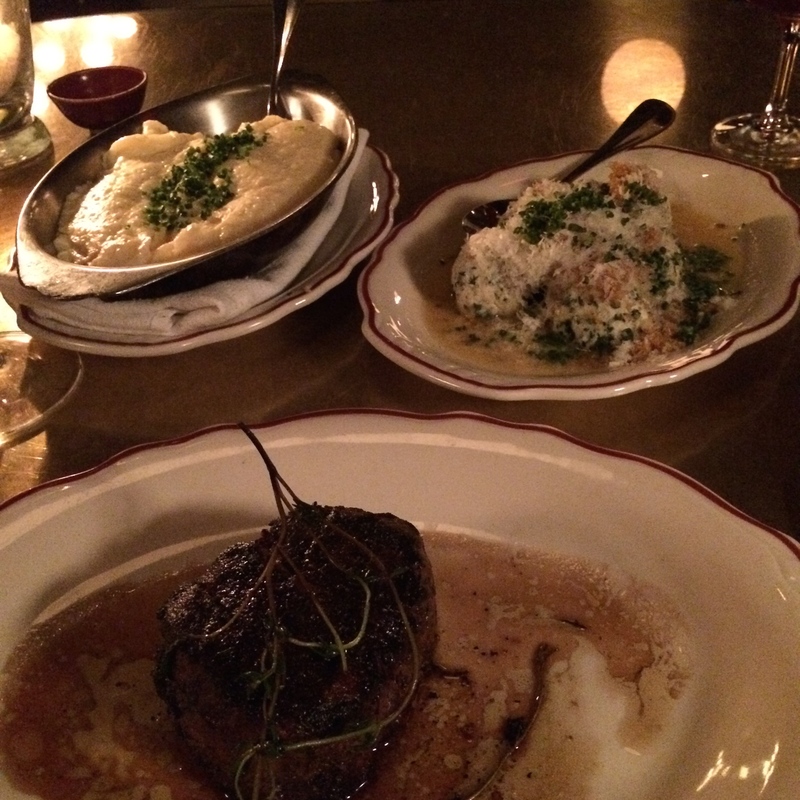 We each chose the 8oz filet for our entrees and added on a couple of the large, sharable sides. There were several that sounded amazing, but we decided on a couple of the server’s favorites — Pommes Aligot and Spinach Gnudi. The potatoes were mashed and SO cheesy — you could see strings of cheese pulling with each bite. And the gnudi was described as being similar to the filling in manicotti, and it was delightful. The steaks were an excellent cut and were nicely prepared — definitely comparable to the best steaks we’ve had in the city. 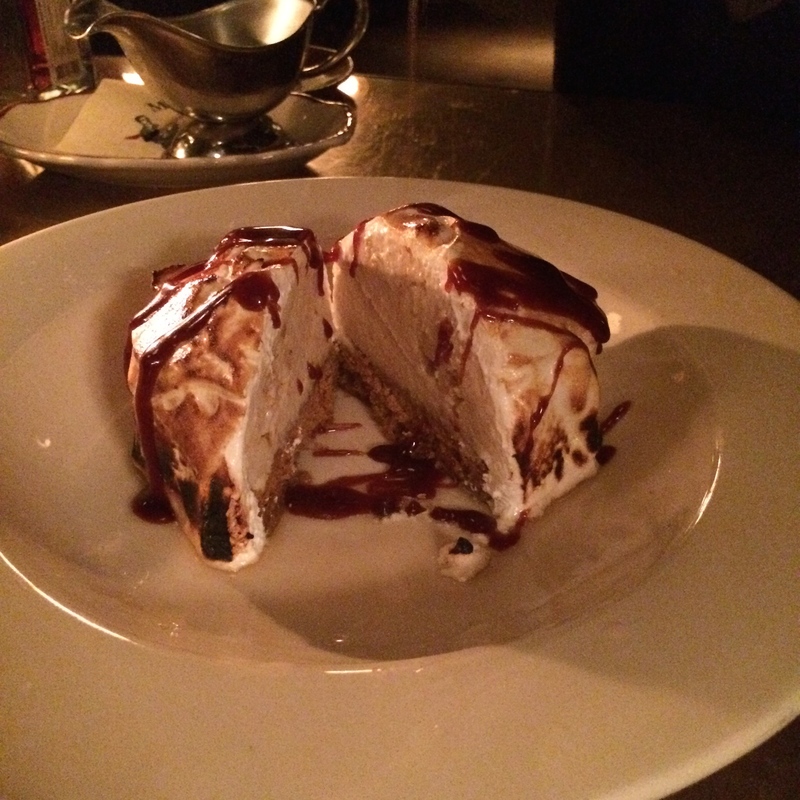 And for birthday dessert… Baked Alaska! 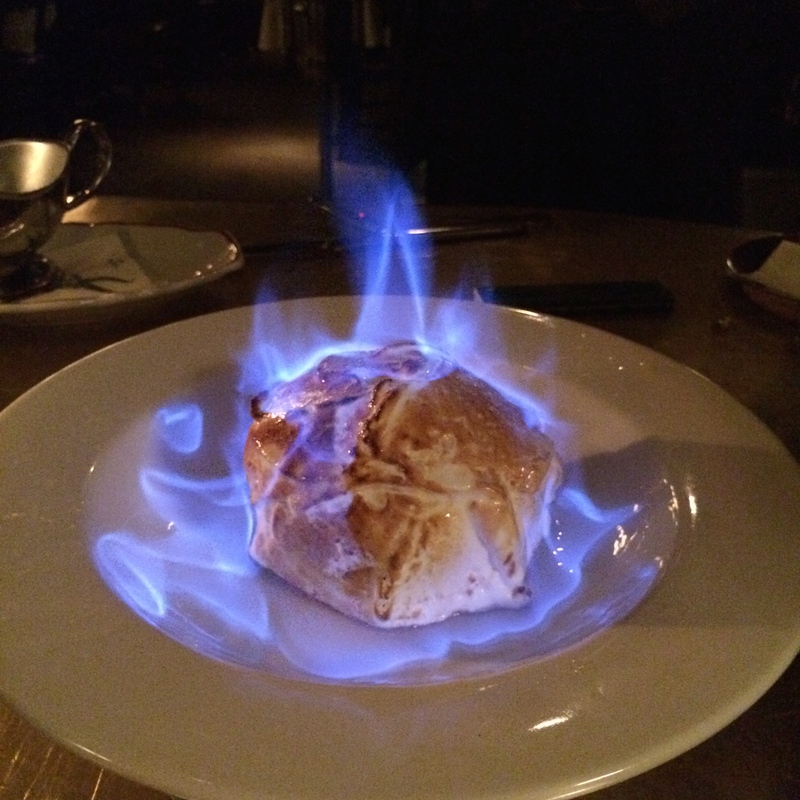 Such a fun presentation, which I always appreciate.They change the ingredients occasionally, and this one was perfectly fall appropriate with pumpkin spice cake, oatmeal rum ice cream, marshmallow, and salted caramel rum sauce. The flavors were divine, and I think I could have eaten the entire dish on my own. 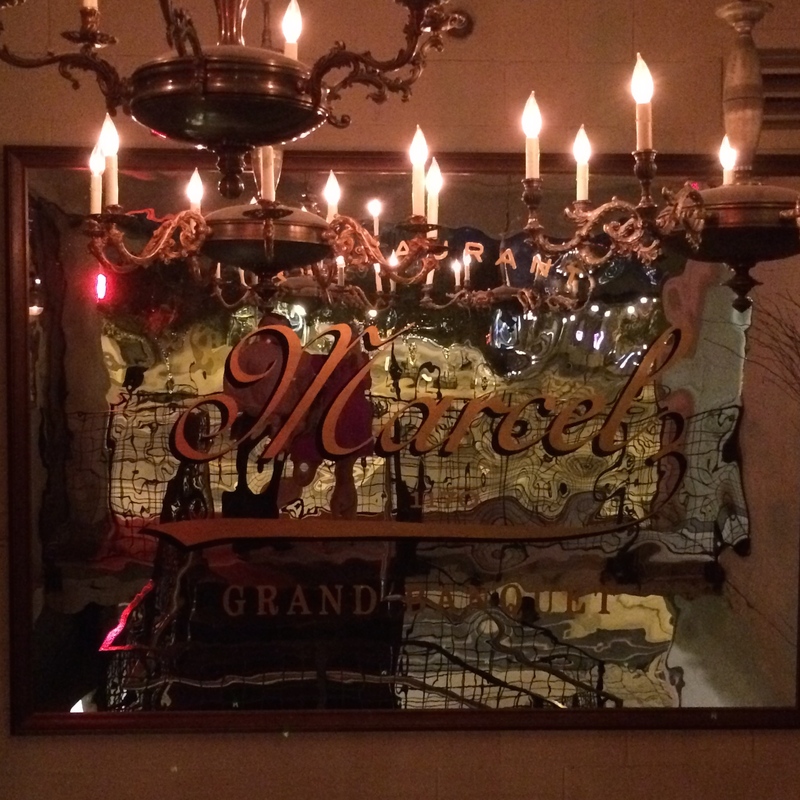 One of the things I appreciated most about Marcel was the exceptional service. Just a few minutes after being seated, we already had our drink orders placed (the wine and cocktails were both excellent). The manager approached us not long after and asked if we’d like to move to a different table due to being seated next to a large group. We happily obliged in order to have a quieter booth, and we were surprised to be offered drinks on the house for the “inconvenience” — which really was no problem at all because we ended up with a nicer view of the restaurant from a neat curved booth. I was impressed with the gesture, though, and the service continued to be wonderful throughout the meal. This was our first nice meal out since having our baby in September, and it was the perfect way to celebrate my sweet husband’s birthday. 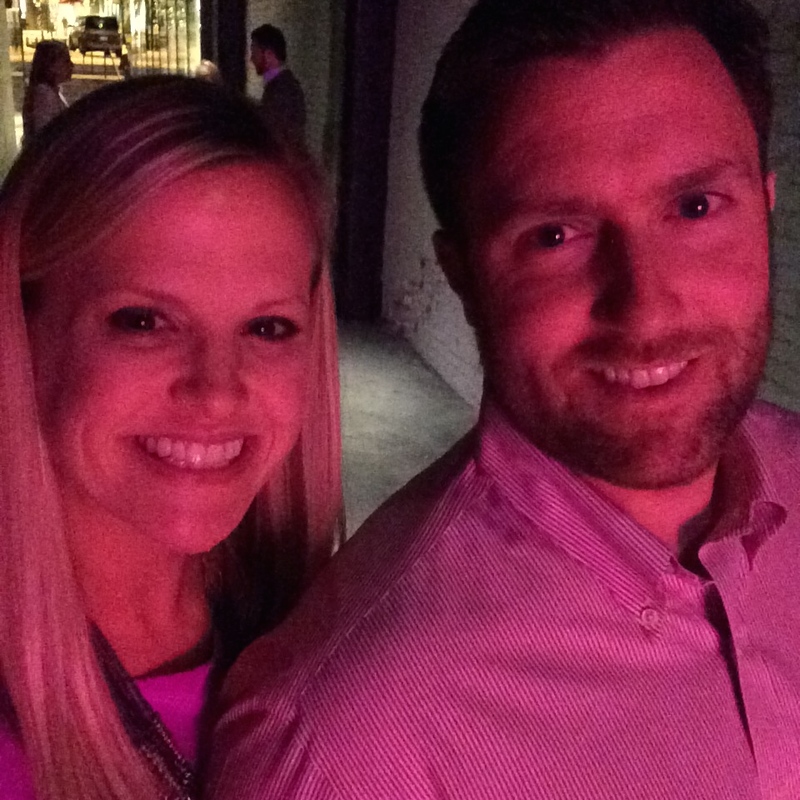 Ford Fry has done it again with another top notch restaurant option in Atlanta, and I’m so happy it’s close to home for us! We’ll most certainly be back.